Honest confidence, or good self-esteem, is built and improved in teenagers (boys and girls alike) when they are given proper therapy. Though self-esteem issues themselves are often not treated with therapy, the improvement happens as a natural side effect of treating other issues. Why is this? Let’s take a closer look at self-esteem in teens and the positive effects of proper therapy on their confidence level. Self-esteem is two words in one. If we separate them, the meaning becomes more apparent. According to Psychology Today, “Self” is the concept of the inner person, and how one identifies who they are. “Esteem” is the concept of one’s personal value. So self-esteem describes how a person identifies and values themselves. As self-esteem improves, self-confidence also improves. We all know that as we feel better about ourselves, we also feel better about what we can do and contribute in the lives of others. Conversely, lower self-esteem is directly related to feeling less confident and treating others and ourselves badly. Proper therapy is another of way of referring to therapy that is appropriate for your teen. 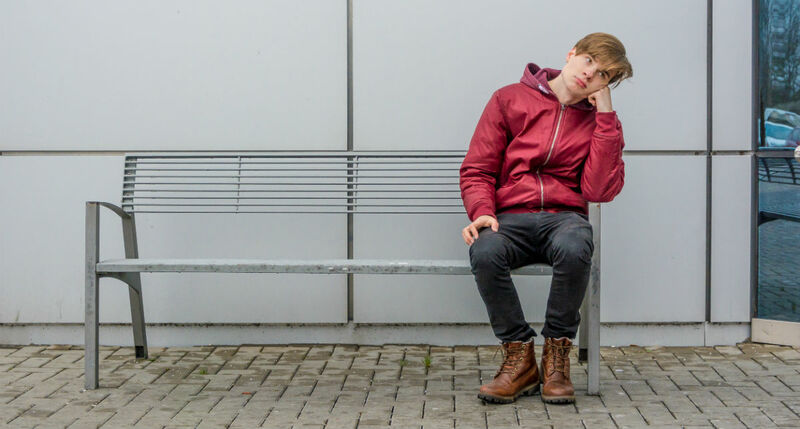 Teen boys in particular may need residential therapy that is tailored for them. Therapy at Sundance Canyon Academy isn’t just behaviorally driven–meaning relying on behavior modification techniques. Sundance Canyon Academy treats struggling teenage boys from a specialized, therapeutic and educational approach. In this way, their confidence levels are improved by identifying and addressing the things that are causing their anxiety and encouraging them to make poor choices. This specialized therapy gives them the skills and tools for life that help them grow in self-respect and gain the confidence they need to do better in all areas of life. How Does Therapy Increase Honest Confidence? Honest confidence is authentic and lasting. This is the type of confidence that Sundance Canyon Academy wants to encourage in their teen clients. Therapy sessions naturally address issues that stem from or encourage low self-esteem. As a result, teen boys gain a stronger sense of confidence. Teens with low self-esteem may work with their therapists and/or groups on activities that encourage them to be more assertive and more self-aware. Feeling a sense of accomplishment is a huge boost to confidence levels, and therapy can help teen boys identify some specific activities that will boost their confidence in themselves. At Sundance Canyon Academy,teens are given opportunities to try new things such as music, culinary and recreation therapies. This increases the chance that your son will find something that really helps him feel better about himself, and this in turn helps build the honest confidence your teen needs to make better choices and succeed at life.